Following the 1846 amalgamation of the London & Birmingham and Grand Junction railways, the newly-formed LNWR began to 'flesh-out' the lines around the Birmingham area, in particular on the ex-GJR route from Curzon Street to Wolverhampton which only had 5 stations between these two points along its 14.5 mile journey. One of the areas to benefit from this process was Aston whose station opened in 1854 in the heart of inner city Birmingham. 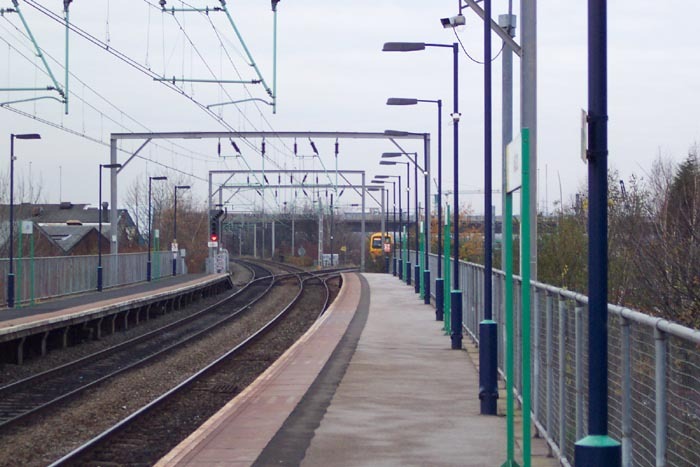 The station in effect sits between two junctions: to the North is the junction serving what is now the Cross City Line to Lichfield and the ex-GJR line to Wolverhampton. To the South is the junction serving New Street (originally Curzon Street terminus), the ex-L&B's line to Coventry and a spur that once served Windsor Street Goods and Gas Works. 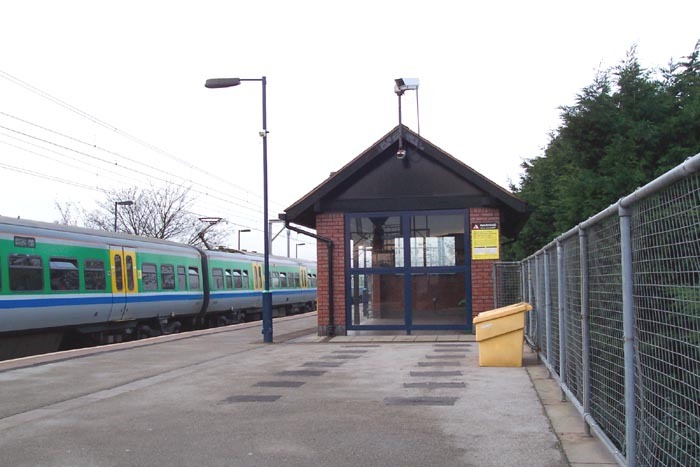 Unfortunately, the station has been rebuilt in recent years due to it sitting on the'prestige' Cross-City Line. 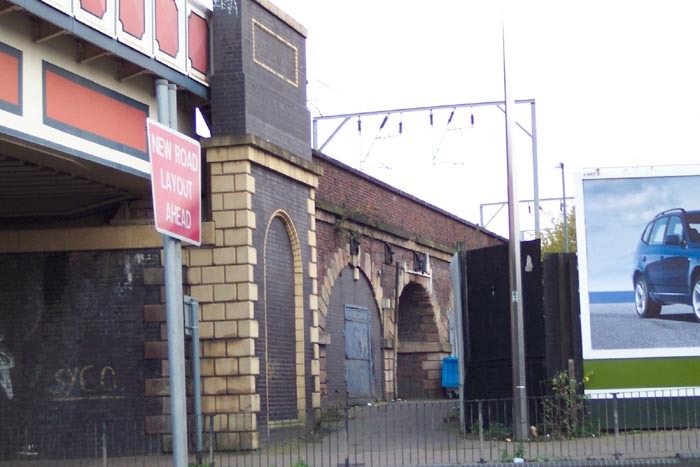 In addition to this, the bridge over Lichfield Road against which the station buts, was replaced in 1906 and has had somewhat of a makeover of its brickwork in recent times thus there is little of historical interest at the site. 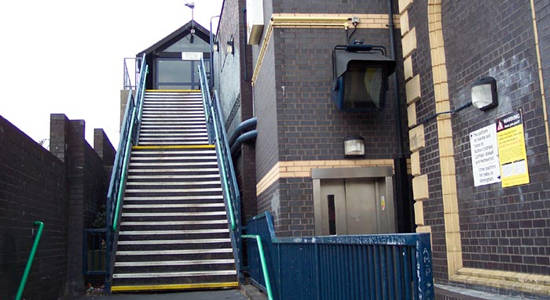 Above-left we see the site that greets passengers as they arrive at the top of the stairwell from Lichfield Road and onto the Birmingham platform. Not the most inspirational of buildings, such waiting rooms largely appeared on the Cross-City line during electrification in the 1980s. 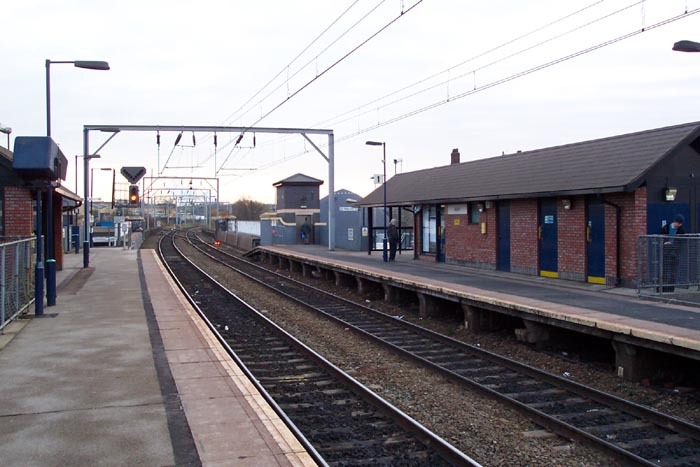 Originally, there were two significant single-storey station buildings, one on each platform, complete with canopies. Above-right we have walked ahead from the previous shot and are looking along the line to the junction where the line to Lichfield heads-off to the right and and the ex-GJR line to Wolverhampton to the left. Note also that the platforms here were of wooden construction and persisted as such well into the 1960s! Above-left we have turned to face Birmingham and can see both the Lichfield platform building which acts as the booking office, and the junction ahead beyond the Lichfield Road bridge parapet: the line to Coventry heading to the left and New Street to the right. Above-right we are taking a closer look at the junction. 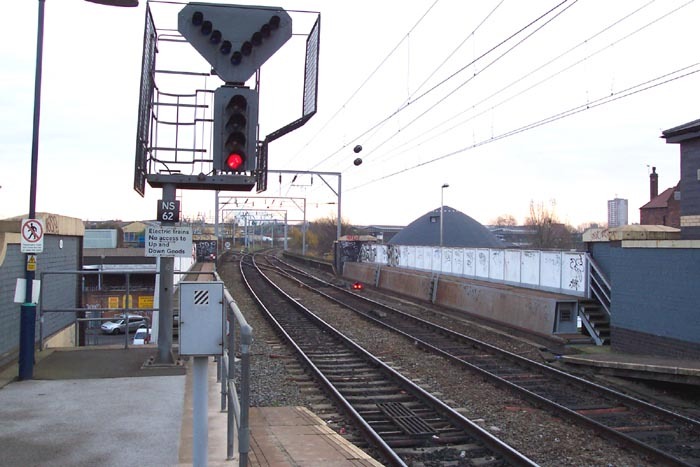 The lone signal here is a poor replacement for the multiple-armed semaphore signal gantry that once stood at this spot! Above-left we see the bidge carrying the railway over Lichfield Road. Originally this was a series of low brick arches but these were replaced with the current structure in 1906 not least due to the problem of them only being high enough to permit the passage of single-deck electric trams beneath them at a time when the tram (coupled with the emergence of commuter travel) was beginning to dominate the public transport scene and greater demand required the use of double-deck trams. Above-right we can see the 'new' bridge contrasting with the arches of the old bridge - to the right is the still-in-use viaduct that led across Lichfield Road.